Pioneer Award given to Owner/President Monica Gawet! 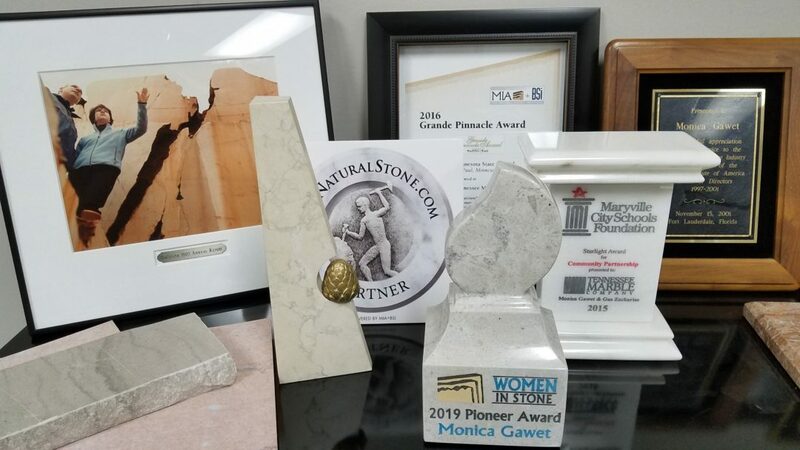 FRIENDSVILLE, TN, January 25, 2019 – Monica Gawet, Owner and President of Tennessee Marble Company, has been awarded the Women in Stone Pioneer Award for being an outstanding exemplar of the pioneer spirit, leading and paving the way for women in the natural stone industry. 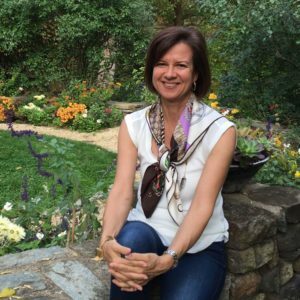 Monica received this recognition from leaders represented in the natural stone industry from around the world through the Natural Stone Institute. Twenty-five years ago, Monica took a defunct Tennessee Marble quarry and turned it into the leading quarry of Tennessee Marble, supplying over a million square feet of dimensional stone products to some of our Nation’s most notable buildings, parks, and monuments. In an industry traditionally dominated by men, Monica has proven that women can be affective, successful leaders. She was called into the industry in 1993, following the footsteps of her father and grandfather in the stone fabrication industry, and stepping out into a new frontier in owning, activating, and operating a marble quarry. “She proved that it is possible to have a career and a family. Besides bringing her business to success she raised three sons (who graduated from Maryville City Schools) and showed the world that with dedication, passion and a strong will – everything is possible. Now she is sharing her knowledge and capabilities with other women and helps them to do the same. She is an exemplary Pioneer and I, amongst other women, would not be where we are now without her.” – Magdalena Schoenwetter, one of Monica’s mentees from JMS Jura Marble Suppliers in Germany. Monica’s passion and commitment to the stone industry and producing the highest quality stone products in a safe and efficient environment is obvious to those who get to work with her. Monica is present at the Tennessee Marble Company headquarters in Friendsville, TN every day. She walks the floor and engages her team at every level. With her hard hat and rubber boots, she is out in the quarry, actively promoting safety, strategizing plans for best yield with the quarrymen, and pushing everyone for continuous professional development. There is a respect for her in the men and women that work for her that makes it obvious, she is not a figure head, she is the real deal. The quality in the products produced by her company is testament to her level of expectation, and the high-level of attention the craftsmen and women put into their work to meet those standards speaks volumes. Monica also expressed gratitude for her first role models: her Grandfather, who started his marble business as a small “mom-and-pop shop” and rose to greatness amidst other much larger competitive firms; her Father, who courageously carried the business to the next level; and to her husband Gus and their three sons, for which without, she would not be where she is today.